In the summer of 1980, I was employed as a graduate research student in the Electrical and Computer Engineering Department at Clarkson College of Technology, in Potsdam, New York. One hot afternoon while doing research in the Science and Engineering Library, I stumbled upon an IEEE Spectrum article written by Robert H. Rines, Esq. which was directed to the engineering community at large. As I remember, the article had two basic messages. One message was that those who invent may have valuable rights in their inventions and that these rights are protectable under the patent laws of the United States. The other message was that under the "shop right" rule of patent law, an employer may have the right to use his employee's invention in the employer's business without the payment of a royalty. I read the article with interest, made a photocopy of it and proceeded with my research. About a week later, I was approached by the department chairman and asked to sign an agreement which stated that I would agree to "assign all of my rights, title and interest in any and all inventions that I might conceive or make during the course of my research." Not understanding the terms of the agreement itself, I refused to sign it and told the department chairman that I had to think long and hard before I could sign such an agreement. At the time, this event struck home a very important point, namely, I knew nothing about my rights as an inventor or about patent law, assignments or the commercialization of technology which I was creating. I felt ignorant, and yet desired to learn much more about these subjects. Immediately I went back to the Science and Engineering Library and searched for other articles that Bob Rines may have authored. I managed to find another patent law article written by Bob Rines, and also a number of US Letters Patents applied for at the end of World War II and issued to him in 1950. As I read the patent law article, I was deeply moved by his recognition of the dignity and importance of the individual inventor in the technological progress of our nation. While studying these US Letters Patents I was inspired by his pioneering inventions teaching how to produce visual and range indications of distant objects in the air and underwater using radio and sound waves. In and of themselves, these US Letters Patents were works of art and the claims which they contained, clearly defined a field of technological innovation which had been long well developed by the time I was born. It became immediately clear to me that Bob Rines was not simply a patent attorney and a pioneer inventor, but an innovator who knew how to achieve worldwide acceptance and use of his valuable inventions. After reading Bob Rines' goal statement for the Franklin Pierce Law Center in its 1980 brochure, I decided I wanted to achieve three things. The first thing was to attend the Law Center. The second thing was to learn about the interface between law and science and technology, and the role that inventions and patents played in the innovation process. The third thing was to learn these latter things from Bob Rines. During my first semester at the Law Center, I found myself studying the sole copy of Bob Rines' book "Create or Perish" tucked away on the reference shelf in the Law Center Library. From the looks of the binding, it was clear that this book had been rarely opened by others at the Law Center. Frankly, I found his lectures on patent law and innovation more interesting than the lectures being delivered in my first year courses. Consequently, my focus turned towards the lectures in this book rather than my first year courses, and so it seems, my first year at the Law Center proved to be difficult, although a learning experience. At the end of my second semester at the Law Center, I met Bob Rines briefly on a number of occasions, and got involved in assembling a museum showcase exhibiting prototypes of "Doc" Edgerton's stroboscopic inventions, which were put on display in the Law Center Lobby. However, it was not until my second and third years at the Law Center that I had the opportunity to work under the tutelage of Bob Rines while engaged in several independent entrepreneurial projects involving his clients. These independent projects were conducted under the auspices of the newly founded Kenneth J. Germeshausen Center for the Law of Innovation and Entrepreneurship in association with the Academy of Applied Science. While none of these entrepreneurial projects resulted in successful ventures, I did happen to learn from Bob Rines five simple, yet important truths regarding inventions, innovation and entrepreneurship. Bob Rines never wrote these five simple truths on a paper or across a chalkboard for me, but nevertheless these simple truths were made understood. In retrospect, these five simple truths seem less related to intellectual property law and more related to a formula for economic growth and prosperity for our nation. I will leave this for others to judge. The first simple truth is that the source of all wealth in our society stems from ideas, and that individual inventors, artists, scientists and others who exercise their creative potential, are our nation's greatest resource for the creation of wealth and economic prosperity. The second simple truth is that an idea or the expression thereof, by itself, does not guarantee innovation. Rather, the idea or expression thereof must be widely accepted and enjoyed by others before an innovation is actually achieved. Similarly, an invention, by itself, does not guarantee a technological innovation. Rather, the invention must be widely accepted and actually used by others before a technological innovation is achieved. Bob Rines impressed upon me that the job of securing patent rights, copyrights and trademark rights, while important, is the easiest part of the innovation equation. This point was hammered home one afternoon when I asked him whether a particular invention could be adequately protected under our patent laws. In response, Bob Rines turned to me and sternly said "patent applications can be written in a bathroom; the difficult task is to find interested licensees." At the time, these words bowled me over, but now I understand what Bob Rines meant that afternoon. 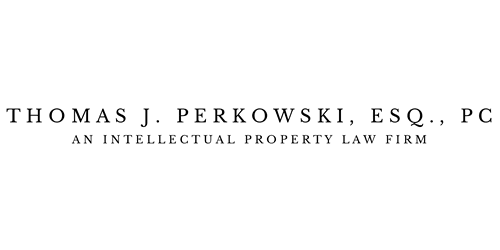 Obtaining a grant of patent rights on an invention has nothing to do with getting people in a particular field or industry to widely accept and use the patented invention under a licensing program. The third simple truth is that for an invention to bring about a technological innovation, the invention must be promoted by at least one entrepreneur who has vision, a deep sense of purpose, an intense desire to succeed, and a clear understanding of what must be risked in order to achieve the enterprise. With these qualities, the entrepreneur will inevitably leave an imprint on the world. However, lacking these qualities, the entrepreneur is ill equipped to overcome opposition, temporary setbacks and various obstacles invariably encountered along the way. In this most difficult area of innovation, Bob Rines cautioned that all inventions are "potential enemies of ideas in production" and thus the entrepreneur and inventor alike must be courageous and persistent in overcoming hostile opposition naturally posed by established industries threatened by new inventions. The fourth simple truth, and perhaps the most important one of all, is that "the welfare of our nation is promoted by those incentives which encourage a person to fight to be an individual." This simple truth, set forth as the premise of Bob Rines' book Create or Perish, applies, as I now understand it, to all aspects of life and appears to be the underlying thread passing through the Law Center. In general, an environment which encourages a person to depart from conventions in search of something better, and does not punish the person for being different, is an environment which is most likely to yield individuals who are not afraid to explore and venture uncharted frontiers. It is an environment which yields individuals who develop new social and legal institutions, who discover unknown scientific principles, who make useful inventions, who create great works of art and who realize significant scientific, technological and social innovations. And, it is such achievements as these, which, in effect, produce wealth and economic prosperity and benefit society at large. Bob Rines emphasized that our laws should provide incentives or rewards for entrepreneurs, as well as inventors and artists, who must assume enormous risks when attempting to build new industries or enterprises. While intellectual property laws and awards for creative advancement in applied sciences, engineering and other arts help create valuable incentives for inventors, scientists and artists, properly formulated tax laws can also help create similar incentives for entrepreneurs. Without such incentives for the entrepreneur, only a few persons can be expected to incur the enormous financial risks associated with innovation. A nation which creates such incentives for the entrepreneur, inventor and artist alike, desires to sustain the intellectual property rights of individual inventors and artists so that large corporations will not dare defy these individuals so cavalierly. In such a nation, investors will be encouraged to back new ideas and ways of expressing them because of the assurance that intellectual property rights, once secured, will have a real chance of being sustained in the courts. However, a nation which fails to provide such incentives discourages the creative spirit of the inventor and artist and the venturous spirit of the entrepreneur which, when working together, stimulate the economy without government subsidy. Even with such incentives as these in place, innovation still has to contend with an ever present obstacle or enemy, namely, conformity. Much like a seedling's chances of growth and survival are greatly increased when planted in fertile, receptive soil, so too are new ideas when introduced into an environment which appreciates creative thinking and action. There is no reason to assume that a society characterized by people who are generally closeminded and resistant to change in the realm of social innovation, are all of a sudden going to be flexible and receptive to change in the realm of scientific and technological innovation, as all innovation requires learning to accept new ways of thinking and doing things. As can be expected then, removing obstacles to technological innovation as with any type of innovation, will require significant reform in many sectors of society. The fifth simple truth is that in order for each one of us to help create jobs, economic growth and thereby promote the general welfare of our nation, we must stand up, open our eyes, look around and ask how we can help solve the countless problems which abound. Once real problems have been identified, creative ideas for solving these problems will come naturally through the application of inventive resources in great supply within our nation. With proper incentives in place and obstacles to innovation removed, entrepreneurs, inventors and outside investors will be encouraged to come together and stimulated to build new enterprises and industries. In this collective effort, each one of us is left with three simple choices: "to lead, follow, or get out of the way" in order to make room for those who know that our nation has only one real option, that is , to either create new industries to replace old, dying ones, or perish as a nation from the face of the Earth. As I do my part to protect the intellectual property rights of inventors, artists and entrepreneurs whose goal is to bring about successful innovation, I am mindful of the Five Simple Truths which Bob Rines taught me. With optimism, I look forward to the day when these Five Simple Truths become common sense principles of economic policy and planning at both state and federal levels of government. But if this day should never come in my lifetime, I will always have been enriched, for I had the great opportunity to learn these Five Simple Truths from Bob Rines during my years at the Law Center.